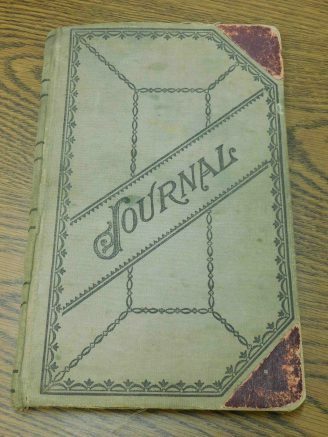 This journal, dating back to the 1920s, was among the items donated to the West Seneca Historical Society Museum. That’s what the West Seneca Chamber of Commerce was faced with when preparing to move from its office in the Southgate Plaza to a new home in the town’s Community Center. As the Chamber staff was going through its belongings to determine what should either make the move or go into a storage facility or into the trash, they came up with another idea: Donate! 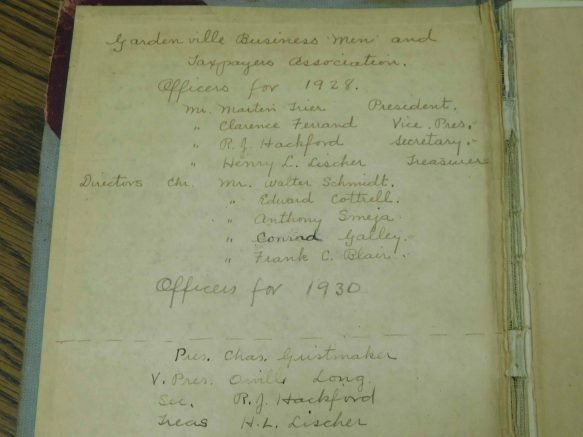 The Gardenville Business Men and Taxpayers Association Journal. Several items of historic significance to the town — such as old drawings by renowned West Seneca artist Stan Smigiera, photos and paperwork dating back to the 1920s — were put into a separate pile for safekeeping. A call was then made to West Seneca’s town historian, Jim Pace, who helps oversee the West Seneca Historical Society Museum on Mill Road. Seeing the historic value, Pace immediately agreed to take and care for many items. 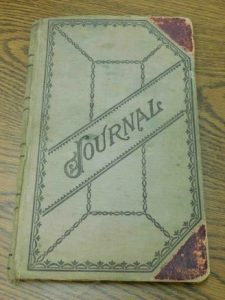 Some will be put on display at the Historical Society Museum, while paperwork and photo albums were taken to the Christian Metz historic home on School Street for safekeeping until Pace and Historical Society volunteers can go through the boxes and determine exactly what they have on their hands. Be the first to comment on "Moving to a new home, West Seneca Chamber of Commerce donates items to two local organizations"